Hwy 101 mile marker 215. 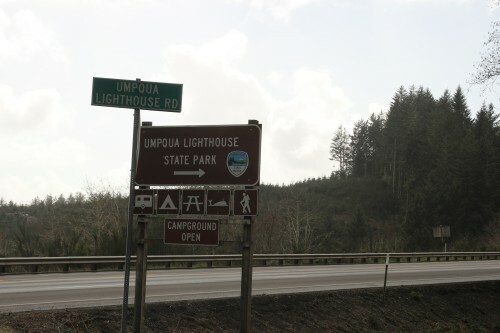 Umpqua Lighthouse State Park and the lighthouse are situated 100 feet above a large area separating it from the beach. Below is a small campground with RV and tent areas, adjacent to Lake Marie. There are also two one-room log cabins. The first lighthouse, with a third-order fresnel lens, was built in 1857, and was Oregon's first lighthouse. However, it was undermined by flooding and collapsed. The existing 65 foot lighthouse is away from the ocean, perched on the 100 foot high ridge. It has a first-order fresnel, and displays alternating red and white light. 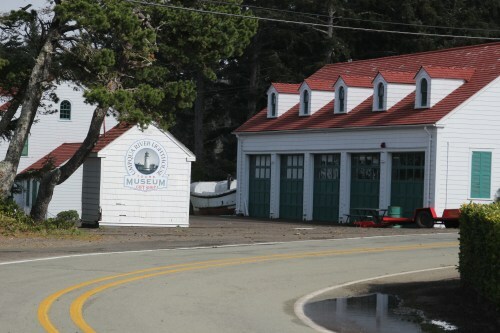 Site Resources: lighthouse (with tours), museum, camping area, RV area, two (one-room, 4-person capacity) cabins, yurts, picnic tables, restroom, showers. 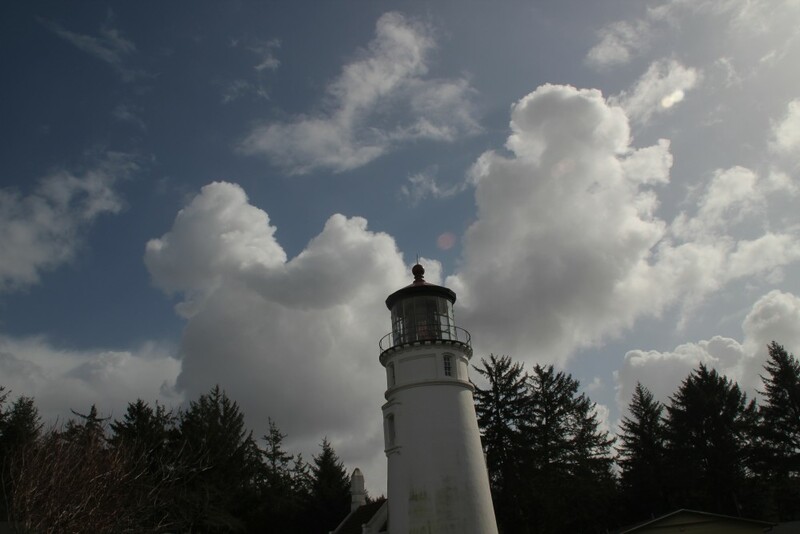 Oregon Parks link:Umpqua Lighthouse State Park No fee required. 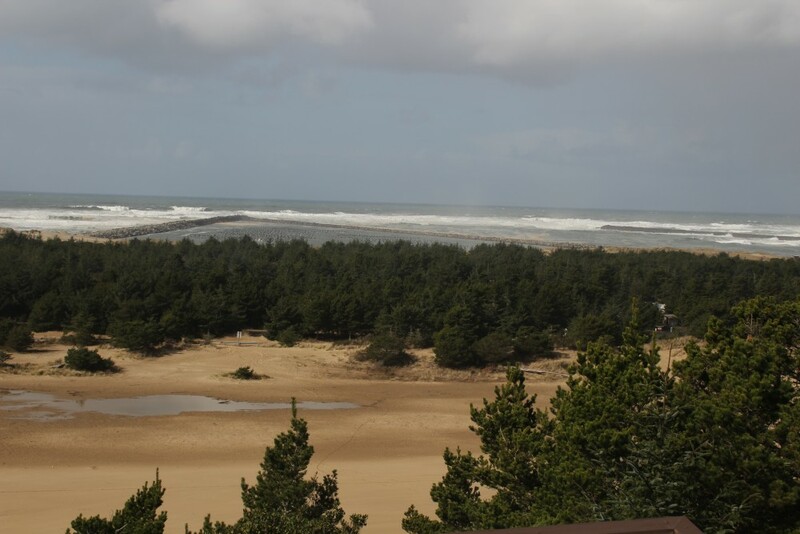 The beach, and a jetty, can be seen in the distance across the treed dunes.